I went back to work on Friday and caught up with all of the things I could not do from my hotel room but I did not update this site until now. MGB Update: I am feeling pretty good and have had no problems with food yet.. 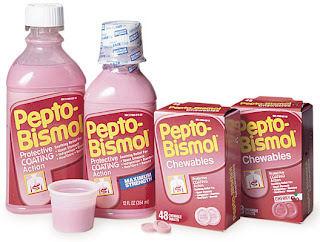 The only thing I dislike is the pepto-bismol that i must take for a few months until my stomach is back to 100%. I have switched to the swallowable pills instead of the chewables or liquid to see if that helps..
NEW UPDATE: 4/6/2009 The swallowable Pepto pills made a huge difference.. no more chewing and no more BLACK TOUNGUE.. (yes it makes your whole toungue black). If you need to take Pepto regularly ask your doctor if these pills will work for you too! Alternatively and as a side note: The swallowable Citricel pills are NOT a good idea and have been abandoned.. For a normal person they would be great.. but for my MGB tummy they seemed to swell up and cause some uncomfortable feelings. It was good to see you doing so well on Sunday. Keep it up. You have lots of supporters here in Austin too.